Set of sterling silver bangles availble as a set of 3, 5 or a set of 7. 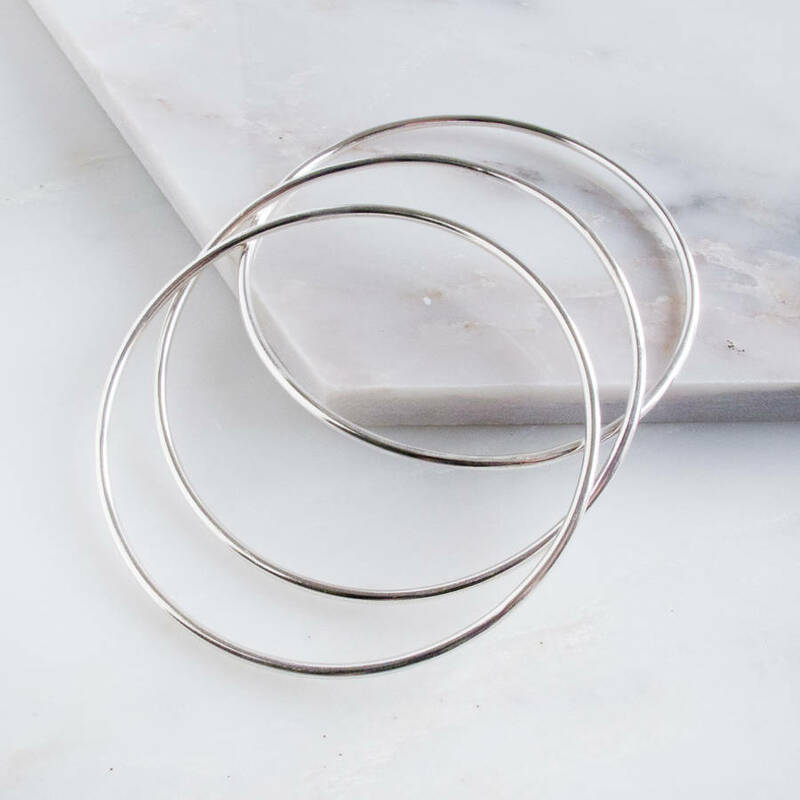 This beautifully simple bangle sets is the perfect present either for yourself, as a Mothers Day gift, or a birthday gift. 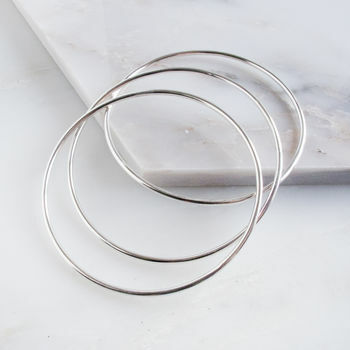 Worn together or indvidually these stylish sterling silver bangles look great morning to night. 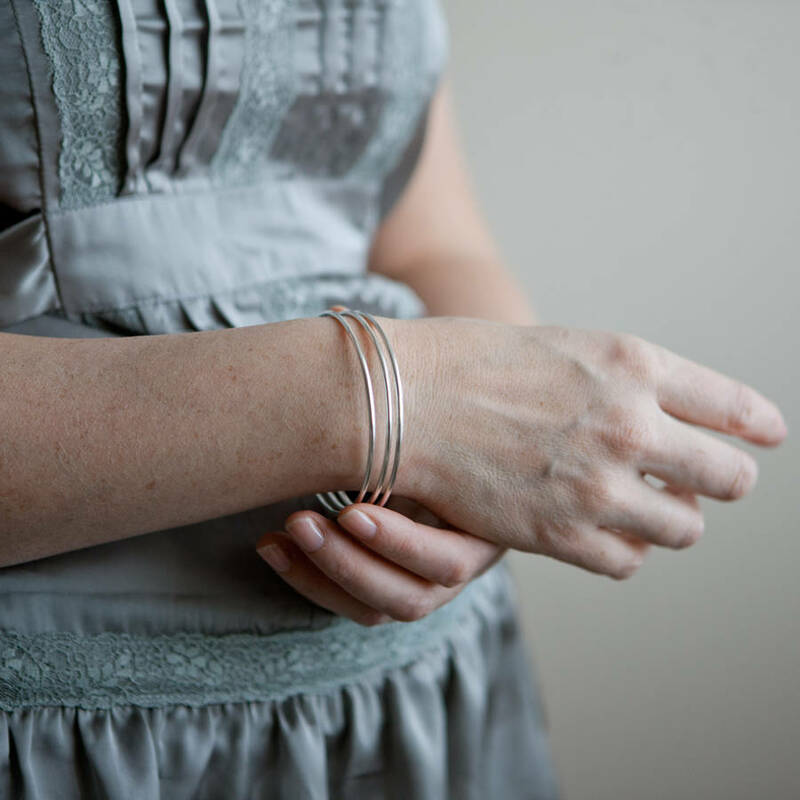 The bangles are approximately 6.5cm in diameter and hand crafted in my Gloucestershire studio from 2 mm round recycled sterling silver wire. 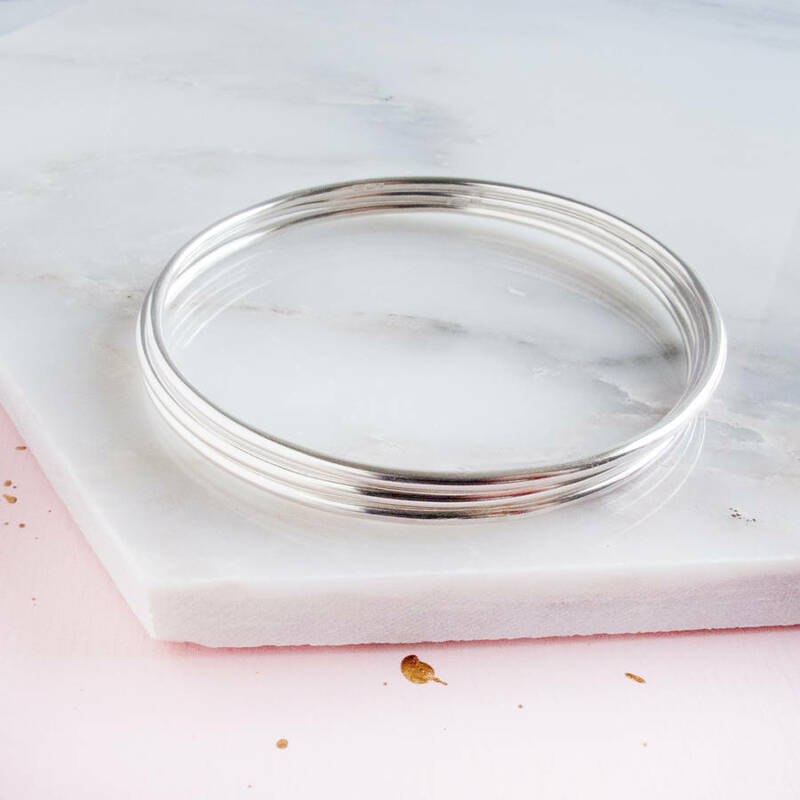 Each bangle is hallmarked and finished to a high polish. 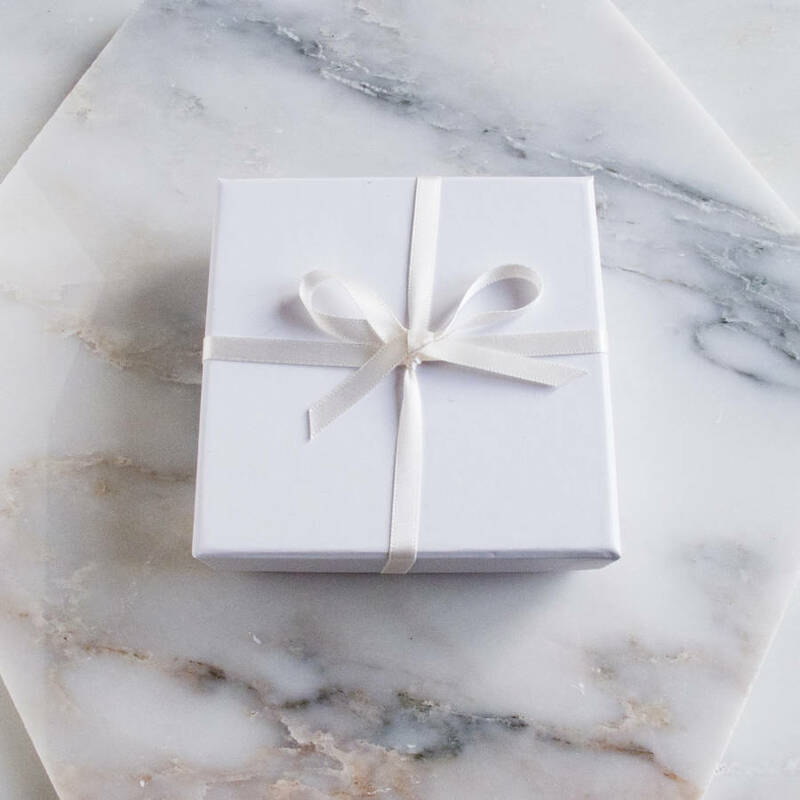 All bangles are packaged together in a white gift box tied with a satin ribbon. Available as a set of 3, 5 or 7. This product is dispatched to you by Audrey Claude Jewellery. All bangles are made to order. Please allow up to 4 weeks for delivery. If you require a bespoke size or earlier delivery please contact me.